Larry Bastedo has demonstrated his commitment to motorcycling for more than a half-century and shows no sign of letting up today. His passion for the sport earned him expert status in scrambles and enduros, senior class in road racing, trials and dirt track as well as prominence on many other levels. He has been a pillar of the sport since before many of us graduated from a tricycle. 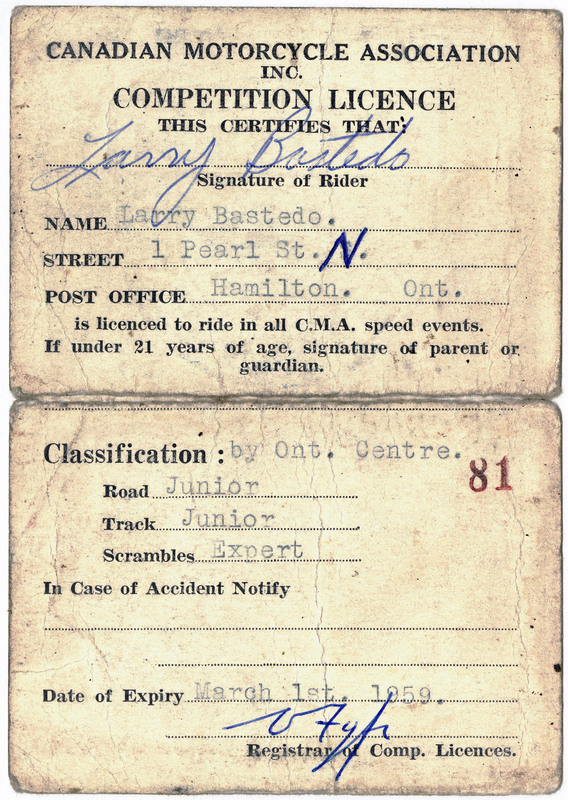 Growing up in Hamilton, Ont., it was natural for Larry to join the famed Steel City Riders club, or the Flying Midgets as they were known in their early days. 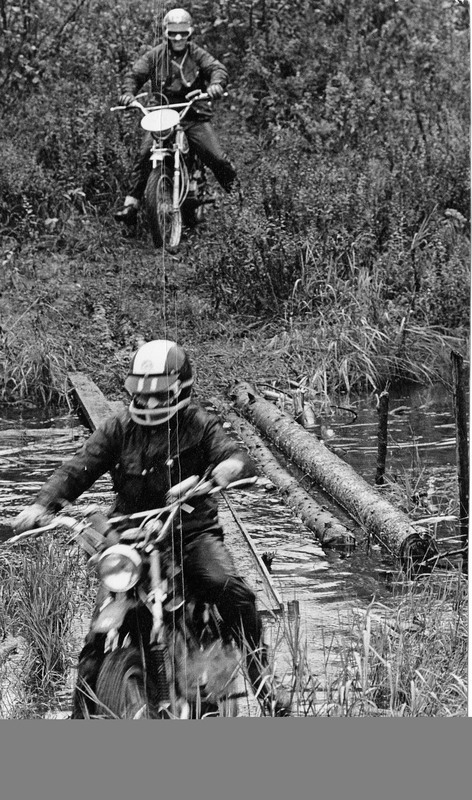 The club organized all manner of events such as road rides, mud runs, trials, scrambles, hillclimbs and ice races. Larry sampled them all. He was already an expert in 1958 and on Good Friday of that year he won his first expert scramble at Oshawa. In the whole season he was beaten only once and at Copetown, Ont., he won the eastern Canadian championship. He also won the national championship in spiked tire ice racing at Ste. 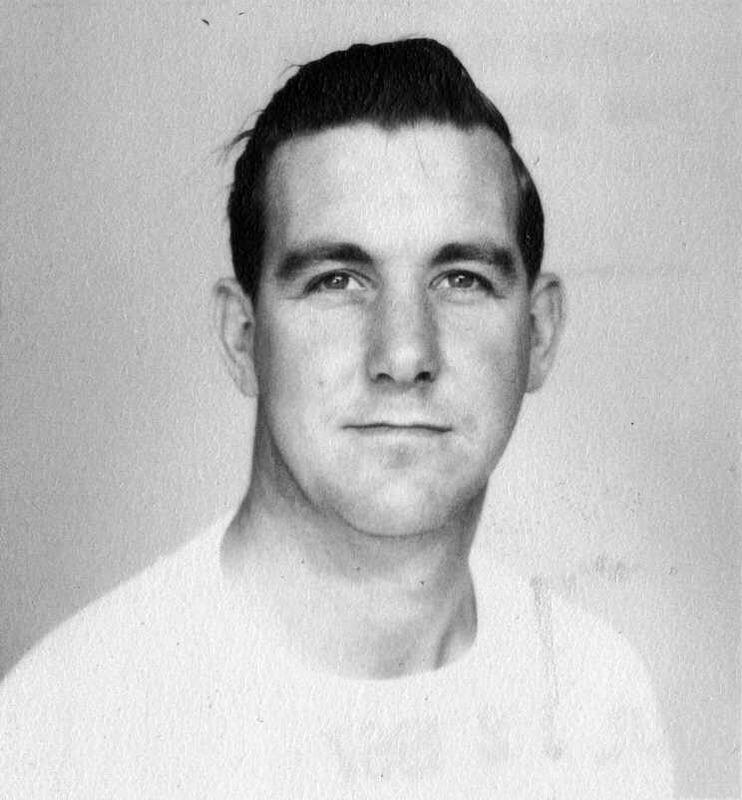 Agathe, Que., in 1957. 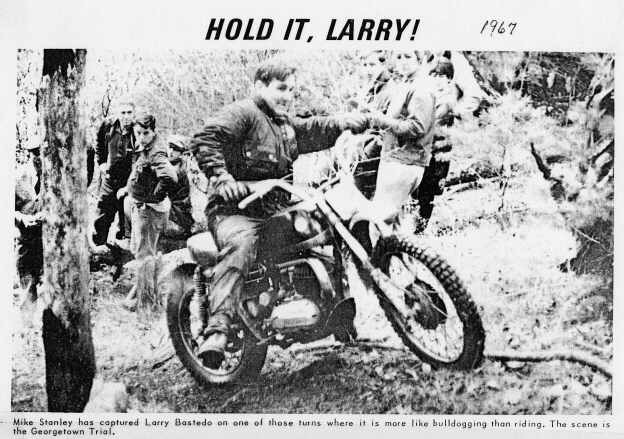 Larry took to the pavement as well, competing in 1960 in AMA national road races at Laconia, N.H., and Watkins Glen, N.Y., sponsored by a dealer from Washington, D.C. An injury eventually convinced him that his future lay in enduros and other forms of off-road sport. Larry’s interests also turned to business and with his friend and fellow Hall of Fame member Jim Kelly, he opened a motorcycle dealership in Hamilton. 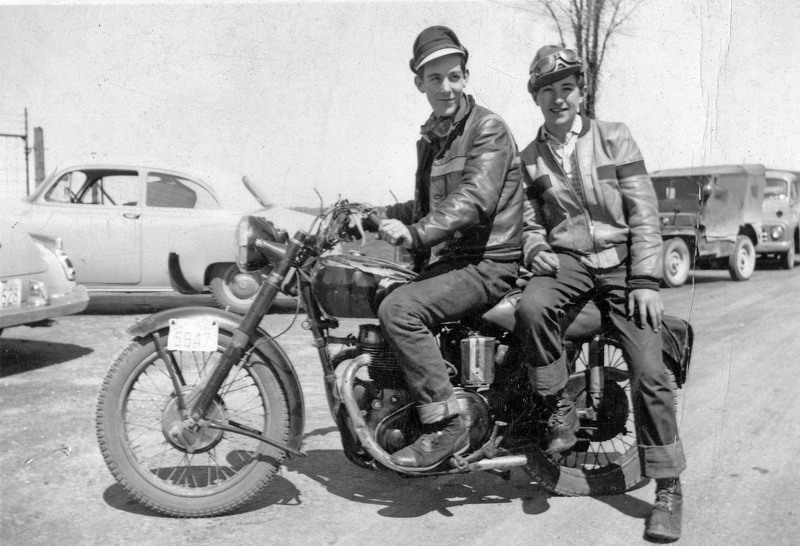 BK Motorcycles was one of Canada’s earliest Yamaha dealers and had a strong presence in the sport from its inauguration in 1963 until it finally closed in 1994. 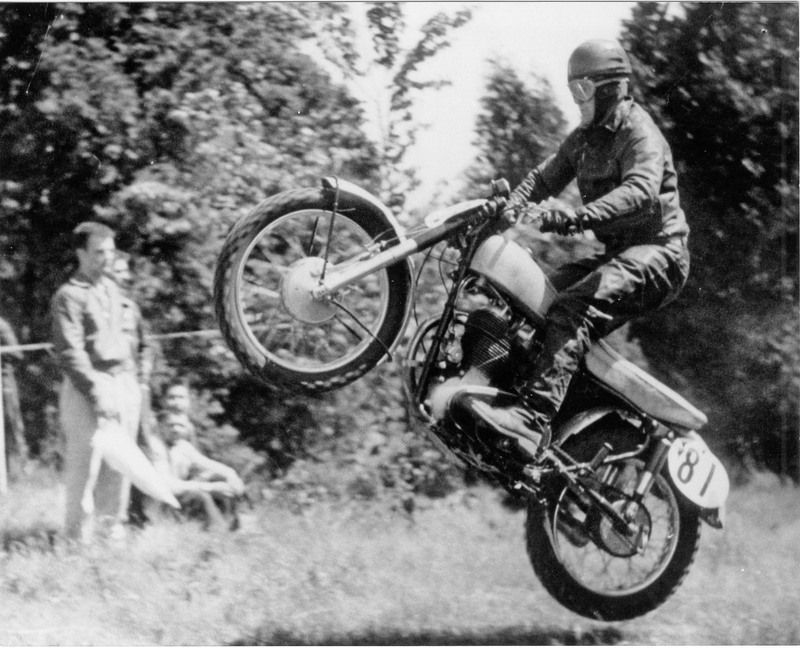 Larry also rode trials and in 1968 he won the senior class at the CMA national championships. In recognition, the City of Hamilton awarded him its coveted Civic Ring. He rode on the Canadian Team in the International Six Days Trial in Poland in 1967, as well as in Germany in 1969, Spain in 1970 and the Isle of Man in 1971. 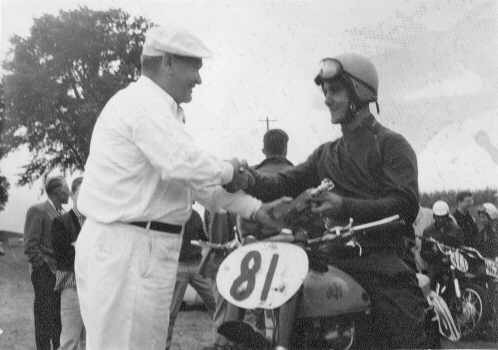 The first time an ISDT was held outside of Europe was in 1973 and for the event in Dalton, Mass., Larry was named to the jury of the Federation Internationale Motocycliste. He occupied that position until 1987, and in 2002 he was invited back and served until his retirement in 2005. Furthermore, he was on the Canadian support team at the ISDE almost every year between 1973 and 1990. Larry already had years of experience on the organizational side of motorcycling, having served as Canada’s national ice racing and dirt track referee starting in 1971. He served on the national board of directors of the Canadian Motorcycle Association for a number of years, beginning with the position of president of the Ontario region. Over the decades he also made himself known over the public address system at motorcycle races, beginning in 1964 in Grafton, Vermont at a round of the Canada- U.S. motocross challenge matches. In 1980 when his brother Carl helped launch supercross racing in Canada, Larry Bastedo and American impresario Larry Huffman jointly announced the mudbowl event at Exhibition Place in Toronto. He continued as announcer and often as colour commentator on television until the Toronto Supercross series at the Skydome ended in 1996. 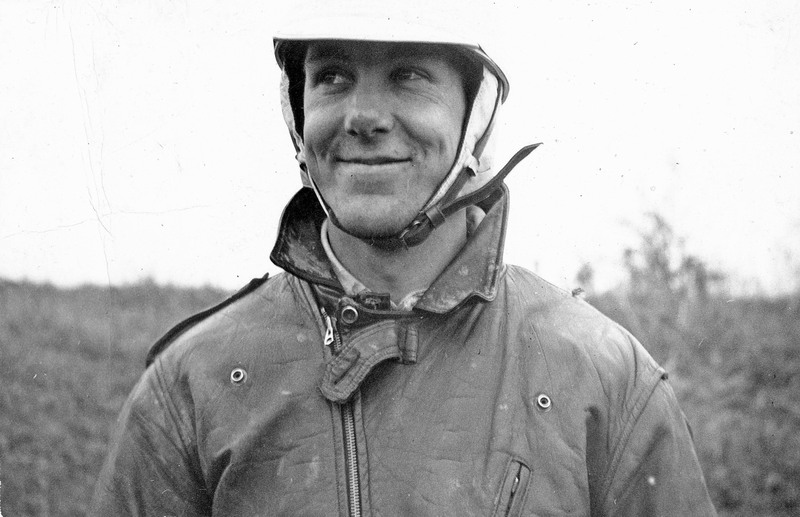 Larry was also instrumental in preserving the historic Corduroy Enduro in central Ontario when it seemed on the verge of extinction in the late 1980s. He persuaded the Steel City Riders to assist the British Empire Motor Club in keeping it going and gradually taking it over. This year Larry attended the 58th annual running of the classic fall event. Larry still attends numerous motorcycle events each year, but his greatest pleasure is to see his sons and grandsons participate in the sport and industry in which he played such an instrumental role.